Stott was born of a Scottish father who was a teacher and educational administrator, and Antonia Sansica, a Sicilian lecturer. For three years in his youth he was a member of a band called Keyhole, members of which later went on to form the Bay City Rollers. After attending Montview Academy of Theatre Arts in London, Stott began working in the theatre for the Royal Shakespeare Company, but for some years his earnings from acting were minimal and he was forced to support himself by also working as a double glazing salesman. Stott appeared in many small roles in BBC series such as Secret Army (1977), The Complete Dramatic Works of William Shakesp (King Lear, 1982), and Dennis Potter’s The Singing Detective (1986). He eventually began to earn a variety starring roles on television in the 1990s. Some of his best known television roles have included the leading character, DCI Red Metcalfe, in the BBC crime drama series Messiah (BBC One, 2001–05); DI Chappell in ITV police drama The Vice (1999–2003); as a drunk who fantasises about finding redemption by joining the Salvation Army in Promoted to Glory (ITV, 2003); as Adolf Hitler in Uncle Adolf (ITV, 2005) and as a fictional Chancellor of the Exchequer in Richard Curtis’s The Girl in the Cafe (BBC One, 2005). In film, he has tended to play mostly supporting parts, such as DI McCall in Shallow Grave (1994), Ted in Fever Pitch (1997) and Marius Honorius in King Arthur (2004). 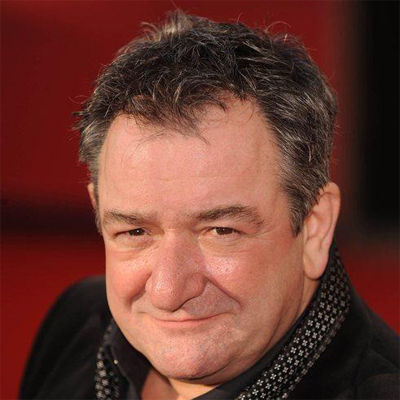 However, he has had occasional starring roles on the big screen, most notably opposite Billy Connolly and Iain Robertson in The Debt Collector (1999), and Plunkett and Macleane of the same year. Stott has continued to act in the theatre, and in 1997 was nominated in the best actor category at the Laurence Olivier Awards for his role in the play Art in 1996.